Ford To Cease Car Production In Australia? Rumours are rife at the moment that Ford are planning to cease local production of their Falcon and Territory vehicles in Australia in the fairly near future-2015 is mooted. They will be following in the path of Mitsubishi, who closed their manufacturing plant after the failure of their ‘saviour’ the Mitsubishi 380. That leaves just Holden and Toyota holding the local manufacturer mantle. Whilst neither of these two are under threat of closure Ford cannot take a trick with the Falcon, which used to vie with the Commodore to be Australia’s largest selling car, but it now languishes out of the top ten. Critics of local manufacturing will give a huge sigh of relief, citing the many millions of dollars that we’ll save in Government assistance, but it should be balanced by the fact that, in per capita terms, assistance given to the local car industry falls well behind those of most other car manufacturing nations. Apparently planning is already underway to ease the distress created by such a closure with local parts manufacturers. Well, the 2012 London Olympics are ticking along nicely and (Aussie, Aussie, Aussie! Oi, Oi, Oi!) we have picked up a medal of each colour so in the pool. Those who watched the opening ceremony would have noticed a little British motoring icon popping in here and there, especially during Rowan Atkinson/Mr Bean’s fantasy while playing Chariots of Fire. The Mini, Mr Bean’s favourite form of transport? The long, sleek Jaguar? The Rolls-Royce? No – this icon was the London Taxi, also known to the locals as the Hackney Cab. The Hackney Cab’s local name dates back to the days of horse-drawn carriages, where the taxis tended to have just one or maybe two horsepower and left the sort of exhaust that one trod in rather than breathed in; hence the standard job of “crossing sweeper” who had the job of keeping the roads clear so that ladies with long skirts could get across without getting messy. Since the Industrial Revolution when London started mushrooming (the era highlighted in that opening ceremony), London has needed its taxis and the horse-drawn type lasted until the popularisation of the internal combustion and on until 1947. Very, very briefly, electric taxis ticked around London, but these were overtaken by the motorised type. Possibly, we’ll see a return to the electric version one day. The term “hackney carriage” refers to any taxi that is licensed to cruise the streets looking for passengers. The iconic black London taxi currently puttering around London is the TX4, one of several taxi designs put out by a very specialist marque with a very unoriginal name: the London Taxi Company. 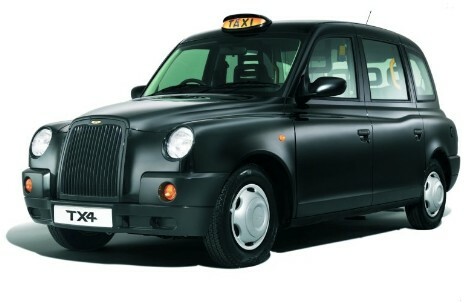 The TX4 has the classic retro styling that give London taxis their distinctive look, which is based on the Austin FX4, another taxi design from the sixties. We all know what a London taxi looks like: the classic goggle-eye headlights, and the body that looks like a Mini crossed with a Land Rover – take the basic Mini look but give it the more upright lines and longish bonnet of a 4×4. The TX4 is not built for aerodynamics, but seeing as it’s built to cruise around an urban area rather than go flat out on the open road, it doesn’t have to be. Under the bonnet of a TX4, you’ll find a VM Motori R 425 DOHC diesel engine that has a maximum power output of 74 kW at 4000 rpm and has a torque curve that peaks at 240 Nm when the engine gets to 1800 rpm. These specs are comparable to a number of private vehicles in the midsized range, meaning that if you ever filmed a chase scene in a thriller involving a London taxi (probably been done somewhere), the taxi can plausibly keep up with the average car. Most TX4s have a five-speed automatic transmission, but a very few come with a four-speed manual. The TX4 complies with Euro IV emission standards, which is one reason why the London Taxi Company went straight from TXII to TX4 – they wanted to refer to this standard and to have a link with the older FX4s. The TX4 also features ABS brakes, seating for five and a very tight turning circle. The classic London taxi is black. However, there isn’t a rule about this, and the colour is more a tradition, like it is for top hats. The brochure for the TX4 lists eleven colours: traditional black (of course), white, four shades of blue (including Godiva blue; see below), three shades of grey, red and “spice”. The TX4 is still made in Coventry, where it always has been. Coventry is one of those very old English towns. The best known legend of Coventry is the story of Lady Godiva, who, the story says, asked her husband to lower taxes on the locals. He said he would on the condition that she rode naked through the streets of Coventry. She did, having arranged for the townsfolk to stay indoors while she did her famous streaking act… and they all did, apart from a tailor named Tom who couldn’t resist looking and gave us the phrase Peeping Tom. The Coventry link is what gave one of the shades of blue its name: Godiva blue. One of the other shades of blue available is a reference to the sporting colours of a famous institution: Oxford blue. More about the London Taxis can be found at the official website http://www.london-taxis.co.uk/index.jsp. In a recent article – http://www.privatefleet.com.au/congestion/ we suggested several ways we can collectively help reduce congestion on our (mainly) city streets. What are some of the easier maintenance tasks that you can do on your car? It’s often very satisfying being able to carry these tasks out yourself knowing that you’re keeping your car in top shape, as well as saving yourself a few dollars in the process. If any car parts need to be replaced in your routine maintenance, you can easily pick these bits up from your local Supercheap Auto outlet, your car’s own Service Centre or the local garage. Checking your tyre pressures is simple. You can pull into most fuel stations and find an air compressor that measures the tyre pressure for you. Top up the air inside the tyre if the pressure happens to be too low. Your car’s air cleaner filter is another simple check. The filter cleans the air which enters the engine. 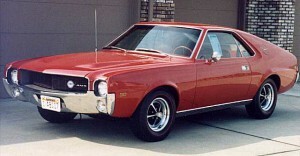 Carburettor engines usually have the air cleaner installed on top of the carburettor. Engines with electronic fuel injection usually have square or rectangular filters, and the filter is usually mounted on the body of the car, adjacent to the engine. Taking the air filter out is very easy. Usually they need replacing every 30,000 km or sooner if the roads you travel are dusty. Making sure that the air entering your engine is clean will ensure that the life of your engine is maximised. A car battery is simple enough to remove and replace when dead. With routine maintenance of the battery, checking the electrolyte level in the battery cells is a must. If the levels are low, you can top them up with distilled or deionised water. Also check that the battery terminals are clean. A wire brush or sand paper can be used for cleaning the terminals. Any corrosion is caused by the acid in the electrolyte, and this can be removed with a solution of hot water and baking soda. The cable terminals can be cleaned by dropping them into a cup of the hot water and baking soda mixture. Once you’ve cleaned the battery all up, coat the fitted terminals with petroleum jelly or grease to prevent further corrosion. Keeping the body of your car looking great is easy enough. Regular cleaning of both the exterior and the interior will definitely maintain the appearance and the condition of your vehicle. Chipped paint can be touched up with a paint pen/brush. Turpentine or kerosene will remove any tar splodges on wheel rims or paintwork. Don’t forget after washing the exterior; make sure you give it a good polish. Remember to keep the drain holes in the doors clean and clear, as any water trapped inside the door panels will cause rust. Checking your water level inside your radiator is so simple, but often this important check is neglected. There is no need to fry your engine. Regular checks will detect any coolant loss which can quickly be rectified. While on the subject of fluid levels, do check brake fluid, gearbox and engine oil – and top up if necessary. These are so simple to do, and the fluids are readily available from a garage. You can check your windscreen wipers. These are easy to remove and replace if the old wipers are smearing rather than shifting the water off the windscreen when it rains. Light bulbs are also easy to purchase and replace if you find that a light isn’t working. If you like cars, you’ll probably enjoy checking over the car. If cars don’t press your button that much but you can see yourself doing odd jobs to keep it in good shape, you’ll likely find that you’ll gain an appreciation and better understanding of how your car works as you go about these simple routine maintenance checks. The move “Road Warrior” introduced the world to Mel Gibson and his wild ride, the Ford Falcon “Interceptor.” After seeing that movie a dozen times, many a youth tried unsuccessfully to reproduce that marvelous, totally Australian creation. Australia today may be the last bastion of the innocence of hot-rod automobiles, sort of like the USA was in the fifties and sixties, but with a very modern flair and mechanicals. There isn’t any vehicle available in Australia that hasn’t felt the hands and wrenches of tuners looking to extract the maximum from the running gear. There are probably more websites here that promote performance modifications than in any other part of the world. I grew up in the USA during the heyday of performance enhanced cars and I have owned and driven a few wild rides myself. Some of the most fun cars I have owned or had available for my driving pleasure were during the era of 1960-72. 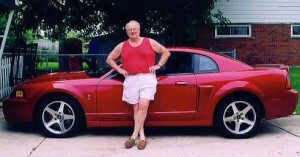 Exceptions were the five Ford Mustang Cobras that graced my garage, from 1996 to 2003, all very exceptional vehicles; fast, fun and good handling. 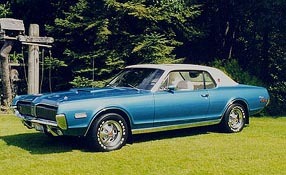 1968 Mercury Cougar XR7G – To create a Mercury version of the Ford Mustang Shelby GT350, Mercury Division built 619 special Cougars. Most of these included a 390 CID 4V Interceptor engine of 325 horsepower, special styled steel wheels, an electric sunroof, huge exhaust stacks coming through the valance under the rear bumper, racing type of bonnet pins and identification badges on the B pillar and low on the side of the front fender. My employer, a major car rental concern, had 22 of these limited production cars in their Los Angeles fleet and I drove one for the better part of a year. Awesome. 1964 Ford Fairlane “Thunderbolt” – This was a special order car assembled by Ford’s Racing Division, specifically for drag racing. The power was supplied by a 427 CID 8V engine with a rating of 425 horsepower. This rating was understated because we dyno’ed one and it hit over 500 horses with no modifications. The car had fiberglass front fenders and bonnet, no heater or rear seats, fixed front racing bucket seats, competition lap belts and shoulder harnesses and rubber floor mats, no carpeting. One of these sponsored by a Los Angeles Ford dealer won the 1963 and 1964 National Drag Racing competition for the A-Factory-Experimental class. I was a sales manager for that dealer and got to drive one of these on occasion. I’m sure that someday I will be rocking on the front porch of the old-folks-home, smiling as I recall my auto adventures. It’s been a fun ride so far. If you want to make your car more fuel efficient, what’s the next best thing to a more efficient engine? You make the car lighter. Design engineers working in the field of car body construction work overtime to create lightweight materials for the modern motorcar. Often new materials have been used from other transportation industries like aeronautical engineering, which is a field that always pushes the boundaries. Spare a thought for these engineers because while on the one hand the demand is for more fuel efficient cars, from the other side there is the push to make the car as functional and practical as possible, which equates to the requirement for more space and bigger cars ­– usually a recipe for gaining weight. Safer cars need stronger frames and more systems on-board, and this only leads to more kgs. More luxury, and more bells and whistles, also adds to a car’s overall weight, so we can see why automotive engineers are working overtime to combat the growing trends. I’m trying not to sound like a ‘Jenny Craig’ sales rep suggesting we all should slim down and lose the kilos. Motor racing is a fun and exciting way of trialling new materials and engineering designs. You’ll find that the cars involved in Formula One, European Touring Car racing and Aussie V8s will use the new materials available to make their cars lighter and faster. The Automotive Circle International group (http://www.automotive-circle.com) is a European body who gathers expert engineers together to collaborate progressive ideas and discoveries in the field of new automotive materials and design. These are just some of the bright gurus behind making the cars we drive better and better. Recently, Mazda engineers have found a new material which is light and strong. They have applied this new material in the new Mazda CX-5. In collaboration with Japan Polypropylene Corporation, Mazda has developed a new plastic resin which is lighter and thinner than the previous resin used in the formation of a car’s bumper. BMW has placed its bets on carbon fibre reinforced plastic as the material for a successful automotive future. Ferrari insists that aluminium is superior. Ferrari believes they can whittle down the thickness of their aluminium sheet metal from 1.5 mm to 0.8 mm. Ferrari’s way of keeping the lightweight aluminium sheets strong is by reinforcing it with ceramic fibres. Incredibly, this could drop the weight of their cars by 15-to-20 percent. Reducing a car’s weight is next to gaining mpg directly from the engine. There’s, obviously, a lot happening behind the scenes that, maybe, we’re not so aware of. Last month we revealed plans from the NSW State Government to follow the lead set by the WA and SA governments by ceasing to send out the annual windscreen rego sticker, as it was no longer necessary. Other states are expected to join them. We looked at the pros and cons and called for your reaction. The initiative has been billed by the respective premiers as an efficiency measure that will save money and please the public. They expected the motorist to agree, and warmly welcome the move. But, gauging the reaction from our readers, that may not be the case! We’d heard of rumblings from the West with some motorists lobbying to ‘restore the sticker’, and it is apparent now to us that they are not alone in arguing for its retention. Gay lives in WA, where the sticker was withdrawn a couple of years ago. But she has left her old sticker on the windscreen “so I still get the reminder of the month it is due every time I drive”. More disturbing was Russell’s tale of woe. He relates that his daughter was fined $600 by the Victorian police for not displaying a rego sticker- but she, and her car were from South Australia, so didn’t have one. Obviously an error was made but it still takes time and effort to correct it. Chris worries about the poor guy who services the unregistered car, takes it for a test drive, has an accident (that may not be his fault), but he still cops the liability as he is (unknowingly) driving an unregistered car. The Police Force seems to have problems with the doing away with the rego sticker. David is a serving Highway Policeman in NSW. He thinks it’s a BAD idea. It makes it harder to detect unregistered vehicles. He sympathises with drivers who have to drive vehicles that are not their own, as they now have no real proof-or even indication, of liability, and feels the label itself is a final reminder for ANYONE. David also tells us that the vast majority of police vehicles is not, and will not be equipped with number plate recognition equipment (ANPR). So he believes the unlawful use of unregistered cars will increase wherever the sticker is withdrawn. That, of course could wipe out any potential savings to the state. It seems that police in NSW have been against this ever since it was proposed by the RTA. David is strongly supported by other serving and ex police officers on our blog. On the other hand there are some votes in favour. Daniel lives in WA and he thinks the arrangement works well, that it saves money, and he wants to say goodbye to the wretched sticker for ever. He is supported by BrianH who would love NOT to replace that ‘infernal’ and ‘ugly’ sticker every year. He thinks there will be enough reminders put in place to ensure the ‘forget factor’ is overcome. ShaunH is from SA, has not had to take off/put on a sticker for a couple of years and sees no problems with this. But perhaps the last word rests with David the Policeman who relates this very sobering tale. “I attended an accident about 10 years ago involving a mature woman who ran up the back of a tradies’ ute. Not a particularly serious accident, but unfortunately this woman had moved 2 years before and not let the RTA know. The rego renewal, along with a 1 month later “If you’re not going to register it where’s our plates” letter went to the old address and her rego label from when it was last renewed (when her BMW X5 was new!) was still firmly attached to her rego papers out of sight in the glovebox. Now initially the two tradie types in the ute seemed fine and both said they were uninjured. But somewhere after I had told the woman that as her car was unregistered, she had no greenslip insurance, and her comprehensive insurance, although current, wouldn’t be honoured by her insurer as her car was unregistered, and they, seeing that she garaged her BMW in a nice north shore address, these two tradies came down with a bad case of ‘Mediterranean Neck’. This was apparent, as I recieved a summons to give evidence at a civil claims court hearing about 5 years later, and it seemed that they could no longer work due to some pain in both their necks and backs. The amount offered by the Motor Accidents Autority’s fund was insufficient for them, and each now sought some astronomical sum to compensate them for not ever working again. I asked the woman’s solicitor to keep me posted on the outcome of the court case and I understand this poor woman lost her house. Is The Day Of The Dealer Dead? 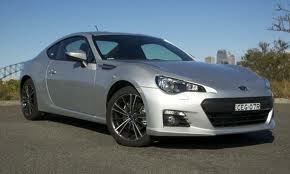 Subaru have dropped a bombshell on their dealers with the launch of their new sports car-the BRZ. They’ve told their dealers that they can’t sell it, as it’s only available over the internet. They call it a ‘World First’. The BRZ will be the only car not to be sold through a dealership, as the potential customer is ‘able to complete the entire purchase on-line’ said Nick Senior, MD of Subaru Australia. About half the established dealers will be allocated a demonstrator, and a delivery fee will be paid to the suppling dealer, but customers still have to book their test drives on-line. And what happens if they aren’t on the internet? Subaru says they will have to borrow a connection or go into a dealership and use theirs. But what if they have a trade-in? Well, says Subaru, the on-line purchasing process will allow buyers to arrange a trade-in valuation if required. In fact the whole process will be completed on-line by the customer, including choosing a colour, specifications, and choice of preferred dealer to arrange collection or delivery. This is a very brave initiative by Subaru, and is clearly taken from a position of strength, in that there is very limited supply of the new and fashionable BRZ sports car. But there is a very close competitor in the wings. 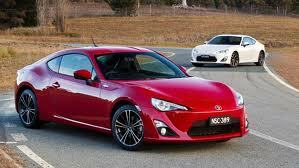 The Subaru BRZ is virtually identical to the new Toyota 86 GT. They are made in the same factory in Japan by Subaru and are only distinguishable by cosmetic differences and varying specifications. Toyota sells its basic model for just over $34,000 on road. The Subaru BRZ sells for $37,150 on road but is equipped with a number of extras such as auto on/off headlights, alloy pedals, dual-zone air-conditioning and 17″ alloy wheels to justify the premium. Topping out the range is the Toyota 86 GTS, which also boasts sat/nav and other goodies, and comes in at around $40,000 for the auto. But the Toyota is sold in the normal way through nationwide dealerships (but still in very limited stocks for the short to medium term). Other manufacturers, franchise holders, dealerships and importers will be looking on very keenly to see if this game changing step by Subaru works. Initial reaction has been incredibly successful, and the Subaru marketing team will be basking in their own success, having seen the whole of this year’s allocation of BRZ’s selling out to an eager public in 3 hours, even though buyers had to overcome website glitches that occurred due to very high traffic. If it does continue to work (and this is an ominous start), will that mean that discounts, deals and car brokers are a thing of the past? Does that mean that that you never need to talk to Private Fleet to get the best deal? Jeez, are we out of a job?? 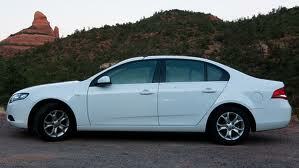 Or is this just a passing fad, used to get a bit of publicity for a car that’s virtually unobtainable right now anyway? Have they shot themselves in the foot? Are Subaru dealers happy? Will it catch on and is it a sign of the future? And are you happy to miss the dealer experience? Oh, and what’s going to happen to the 50 demonstrators that some dealers will have on their forecourt, but with no cars to sell? Let’s have your say below. My love affair with automobiles began at an early age, maybe even prenatally. Maybe I was conceived in the backseat of a ’36 Ford. I asked my mother that one time, but her response was to hit me with her cane. I grew up at a time when automobiles were much simpler, but not nearly as safe as they are today. Many of my childhood friends fell victim to their “need-for-speed” or their lack of understanding that alcohol and gasoline don’t mix very well. It was quite common for fenders to be customized by collision in our neck of the woods and there were no padded dashboards, airbags, seatbelts and collapsible frame members to lessen the impact with an oak tree or concrete abutment. Despite the dangers, I couldn’t wait to drive, in fact I began sneaking my father’s car out of the driveway at night when I was fifteen and not licensed to drive. I had “borrowed” his keys one time and had about ten copies made that I hid in various places in my room, closet and the attic. I would wait until my parents had retired for the evening and I would climb down a ladder conveniently left beside my bedroom window. With the parking brake released and the gear lever in neutral, I would gently push the car down the long sloping driveway. When it was rolling, I would leap into the driver’s seat, engage first gear, turn on the key and pop the clutch to start that Ford. To ally any suspicions, I took to disconnecting the speedometer cable from the back of the speedo during our cruises. One night at dinner my father told my mother that he had noticed the speedometer on his Ford wasn’t working. He was early for work and had time to stop at the Ford dealer service department. The mechanic stuck his head under the instrument panel and said to my father, “Andy, do you have a kid old enough to drive?” My dad said “Yes.” The mechanic said, “That’s your problem,” as he reconnected the cable. I think he was secretly pleased that I had an adventuresome spirit. I was, in fact, just acting out some of the tales he had told of his youthful escapades. With this in the back of my mind, I made sure that I never told my growing children of any of my adventures until long after they were adults. I also never left my car keys around for them to “borrow.” Even so, two of them developed the same feeling about cars that I have. 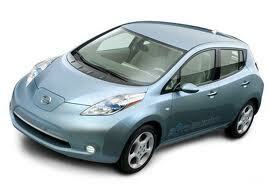 Two fully electric cars are now available on the Australian market, The Mitsibishi i-MiEV and the Nissan Leaf. We’ve just come back from a test drive in each of them, and it’s an experience we’ll remember for a very long time. As soon as you start the engine you know it’s different! The press of a button or the turn of a key and it’s ready to go, but the only way you’ll know is a light on the dashboard. No starter motor, no engine revs, just an eerie silence. Press your foot on the accelerator, though, and Whoosh, you’re off, though still in eerie silence, but somehow, now that you are moving, the silence seems more comforting. Apart from quietness, both cars perform almost like normal cars. There’s no gear shift, so no jerkiness whatsoever, and the electric motor packs a pretty fair punch, and, once it’s got away from a standstill, you can certainly feel a push in the back as you depress the pedal. So much so, in fact, that they give much more torque than the vast majority of small cars on the road. They are certainly not for everyone, and command a significant price premium, particularly as our government, unlike others, offers no assistance or incentives to purchase these zero emission cars. 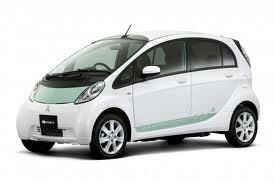 The i-MiEV (which stands for Mitsubishi innovative Electric Vehicle) is the smaller of the two, though is still a four-door, four seater. Its recommended retail price before on-road costs is $48,800. It can be plugged in at home using a 15 amp power point and will take 7 hours to charge up for a range of 150kms. Alternatively it can be plugged in to a dedicated charging station (of which there are very few around) and you’ll get an 80 percent charge (good for around 120kms) in 30 minutes. The Nissan Leaf is slightly larger and is $51,000 plus on road costs, but these on road extras can be quite substantial, and can lift the car to well over $60,000 before you leave the showroom, particularly if you purchase the recommended $2750 fast charging system. The Leaf seems quicker away from the lights, and has more storage space, is not so distinctive on the road and is ultra smooth. Right now it’s a quirky purchase and won’t suit every motorist. Want to drive to Canberra from Sydney or Melbourne? Sorry, you just can’t with either of these vehicles as there are no charging stations in between. Hopefully that will improve in time, and the local shopping centres will offer free charging stations, as they do in the USA. But if you are happy to pay the premium, want to make a statement on zero emissions, and restrict your driving to commuting distances, then go ahead- you’ll enjoy it.